In a statement, EFF said: It is worth reflecting on just how wildly unsupported by the public and wrong the FCC is on its effort to end an Open Internet. More than 1000 small businesses, investors, and technology startups in all 50 states have publicly opposed the proposal. More than 900 online video creators that produce content for more than 240 million viewers oppose the FCC plan. Over 200 international businesses and organizations have weighed in opposition. Fifty-two racial justice, civil rights, and human rights organizations have filed in support of the current rules. Dozens of ISPs across the country have told the FCC to leave the rules in place. Libraries, around 120,000 in total, from across the United States support retaining the Open Internet Order. Privacy organizations have told the FCC that its proposal would further degrade broadband user privacy and therefore oppose the proposal. State Attorneys General from Illinois, California, Connecticut, Hawaii, Iowa, Maine and Maryland, Massachusetts, Mississippi, Oregon, Vermont, Washington and DC support retaining the existing consumer protections. 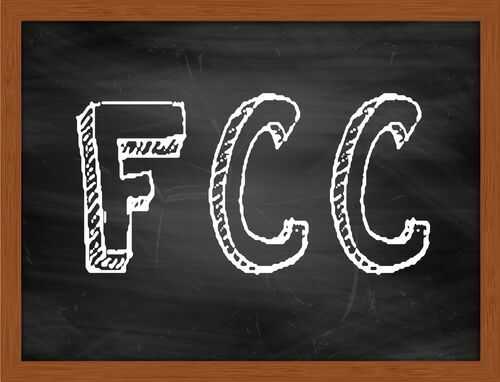 Sixty Mayors across the country have filed their opposition to the FCC plan. The National Association of Realtors expressed their support for keeping a legally enforceable Open Internet rule. And 1.52 million unique comments (as in people navigating the cumbersome FCC website directly to submit a statement rather than use a form letter website) were submitted in support of Title II and Network Neutrality versus only 23,000 supporting the FCC. A recent poll has found that 77 percent of Americans support retaining the current Network Neutrality rules (the poll broke it down to 73 percent of Republican voters, 80 percent of Democratic voters, and 76 percent of independents). The numbers are even higher when Americans are asked whether they support privacy protections, such as requiring ISPs to obtain consent from users before monetizing with third parties (85 percent Republicans, 82 percent Democrats, and 78 percent independents). So if the public and virtually every facet of Internet culture (including ISPs) oppose the FCC's plan, then why are we even going down this path? To put it simply: the FCC is not serving the public interest, but rather is serving the interests of the very few but massive vertically integrated ISPs that support the current agency's agenda.